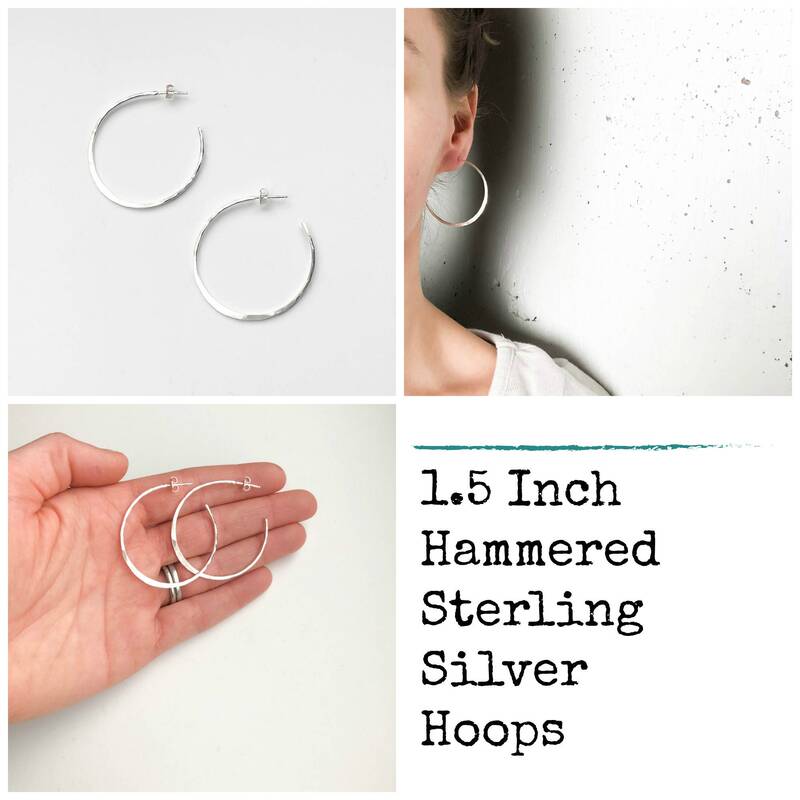 * Available in 3 sizes, all of them are lightweight and comfortable to wear! 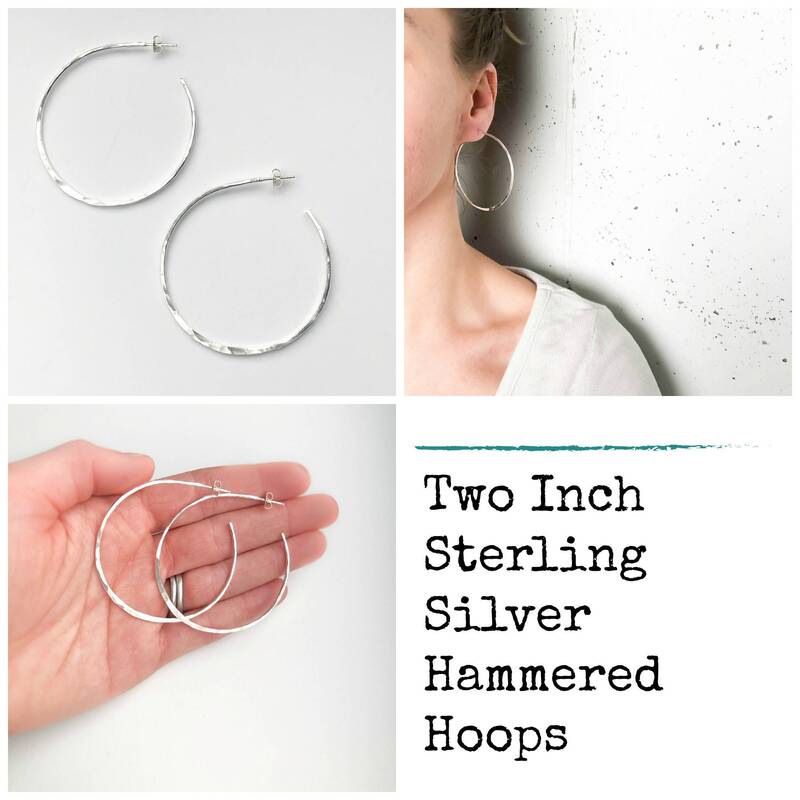 Handmade with solid, nickel free sterling silver, these hammered hoops are a great everyday style! 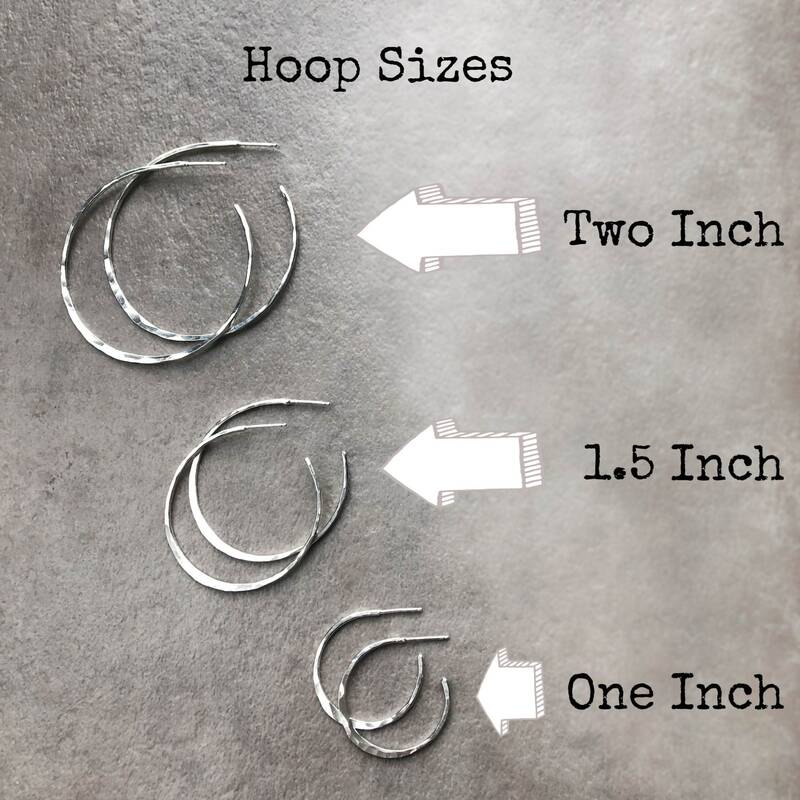 You can choose your size, we offer them one inch across, 1.5" across and two inches across. 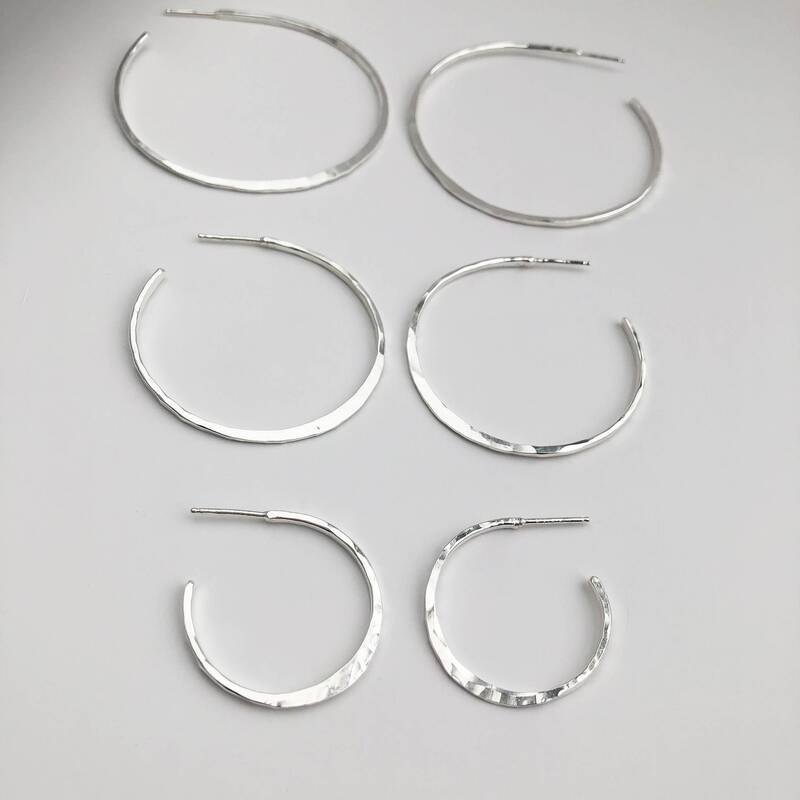 What's great about these is that all of the sizes are lightweight, super comfortable to wear and still sturdy and perfect for every day wear. 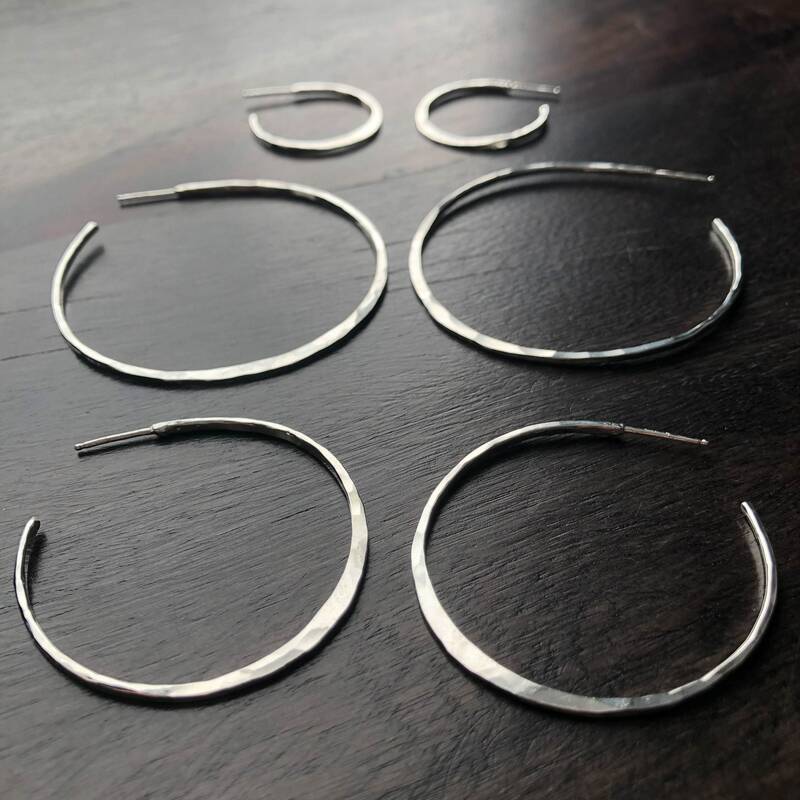 I make these with thick sterling silver wire, I use cold forging to hand hammer them into shape and form the wire into a slight flare in the middle for dimension. Then I go in and hammer texture them on both sides and the front so they catch and reflect the light from every angle. 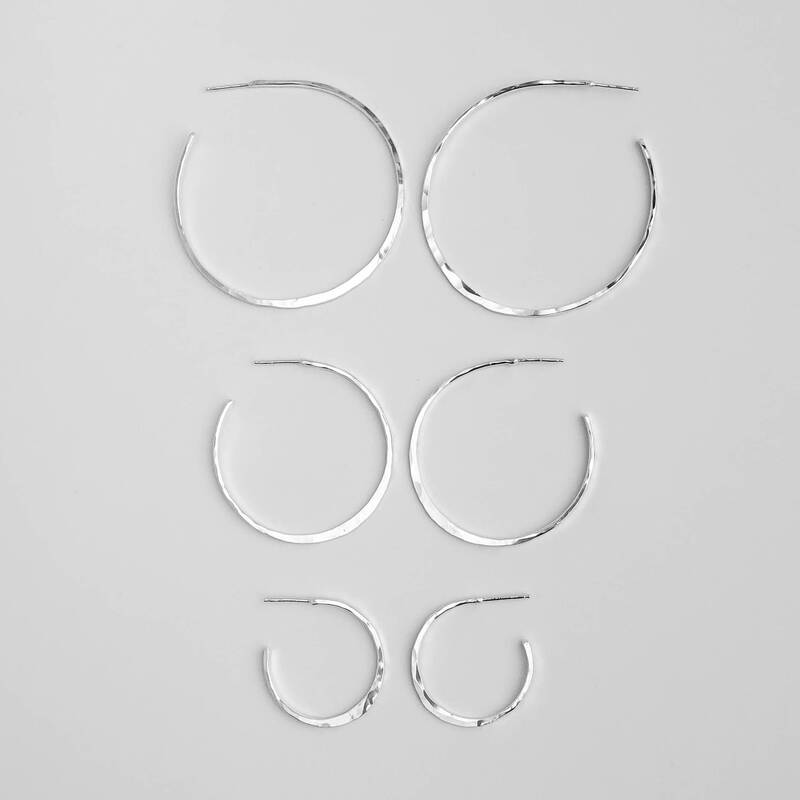 These are polished to a high shine and the post backs are easy to wear and securely fastened with the backs. 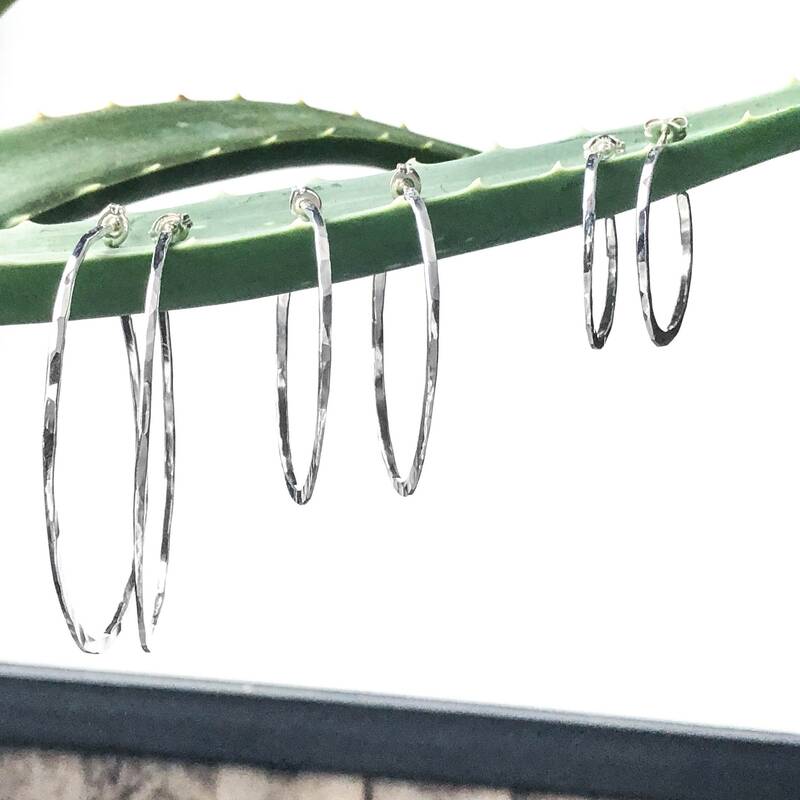 These earrings are beautiful- I was debating between the 1 inch and 1.5 inch and I'm glad I got the 1.5 inch. They are very well made, the shipping was very quick and arrived earlier than I expected considering it was coming cross country. I'm very satisfied. 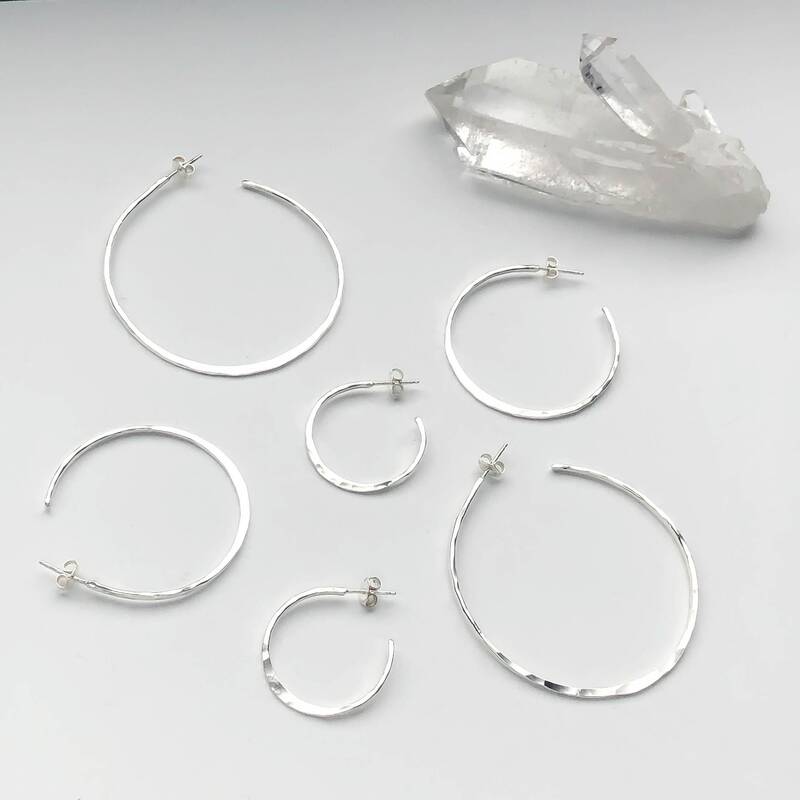 I purchased 1.5”, and These are great everyday earrings! Very light weight and comfortable to wear all day! excellent quality. Highly recommend! 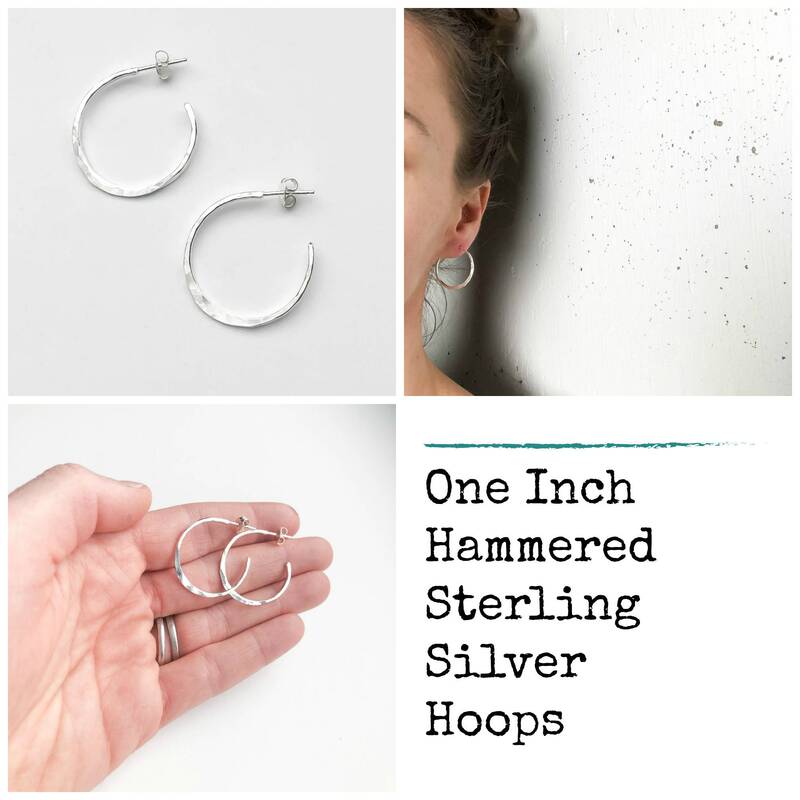 !Well packaged and fast shipping!